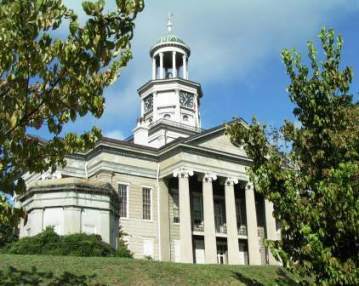 Pictured above: The Old Courthouse Museum in Vicksburg, which includes a room from Robert E. Lee&apos;s mansion. Many thanks to the hundreds of members and readers who took the time to fill out our Medicare survey! Over 500 people completed it - we will report back on what you told us in 2 weeks. Note: we are taking a break next week; our next issue will be on Thur, Nov 1. We hear a lot of questions and concerns about HOAs. So we asked Joe West, one of the country&apos;s top experts on Community Associations, to update the interview we had with him 3 years ago. His insight and perspective will help you understand what to expect, look out for, and appreciate with your new HOA. Cecil B. DeMille thought that Flagstaff should have been what Hollywood became - the movie capital of the world. That didn&apos;t pan out, but the spectacular scenery in this area, including the extinct volcanoes called the San Francisco Peaks, and the nearby Grand Canyon, remains. The elevation is a cool 6,900&apos;. Click on a state to see reviews of 888 great retirement towns, plus capsule summaries of 1,890 active adult communities. There will be a Cost of Living Adjustment in 2013 for Social Security recipients, 1.7%. Medicare changes have not yet been announced. Last February we asked our members to briefly answer this question: "Where are you going to retire, and why should others consider it". The immediate response was amazing, but the happiest news is this - your answers keep on coming! As of today there were 402 comments - interesting, informative, chatty, and more. If you are looking to move, don&apos;t miss this reader input! 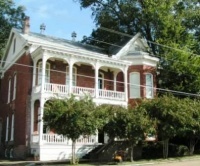 Vicksburg is an historic old town west of Jackson between the Yazoo and Mississippi Rivers. Today it is working to become a retirement destination with a renovated and cute downtown to go along with its many historical sites. Vicksburg was selected as a Certified Retirement Community by the State of Mississippi.